Your place for all your Spring, Summer and Fall adventures. If you enjoy the outdoors, we have something to interest you. Flying J, a family owned business, has been guiding hunts and providing trail rides and summer pack trips in Utah for 47 years. In 2018 the opportunity to provide services in Idaho's Unit 66, the Tex Creek Zone, was too good to passup. Our newly acquired area is in beautiful southeastern Idaho, near Palisades Reservoir, about 30 miles from Jackson Hole, Wyoming. As part of this new adventure we are offering a 2-on-1, 7-day Archery Combo Hunt from August 30 - September 5, 2018. This is an elk, deer, and bear hunt offered at $5950 per person (tax, license and over-the-counter tags are not included). Guide service, meals, and lodging in heated wall tents are all included. Our pack and riding animals are all seasoned trail horses and mules and because of the terrain and roadless status in the unit they are used to access camp. 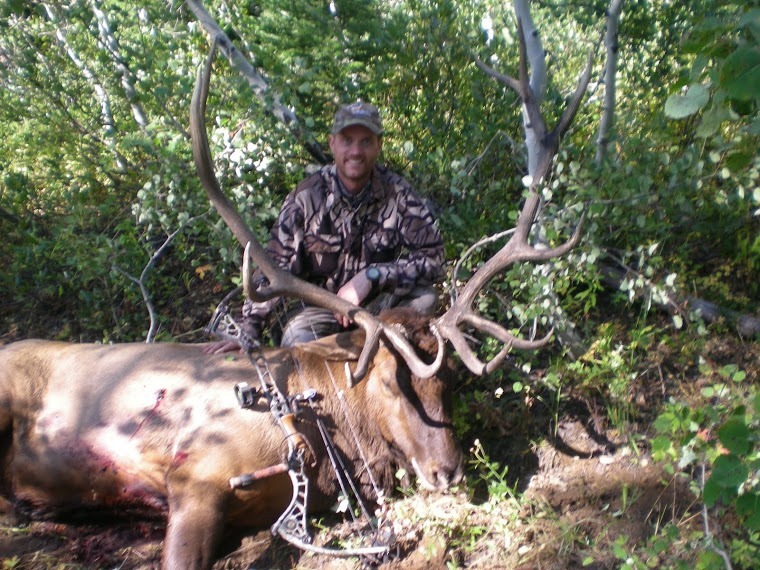 So, if you want to hunt in a beautiful part of the state with the potential to harvest an Idaho Bull Elk, a Mule Deer and a Black Bear, contact us today to book this exciting hunt. You can reach us by telephone (435) 646-3208 or by email at Adventures@FlyingJOutfitters.com or by using our contact page. Flying J Outfitters Idaho, LLC. 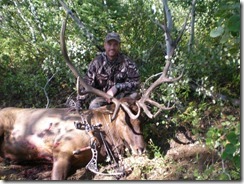 operates and is permitted on the Caribou-Targhee National Forest and is licensed with IOGLB (20529). Flying J Outfitters is pleased to announce we are now offering horseback rides and wagon trips at 9 Mile Ranch located in the heart of 9 Mile Canyon. We are also offering Dutch oven dinner wagon rides. 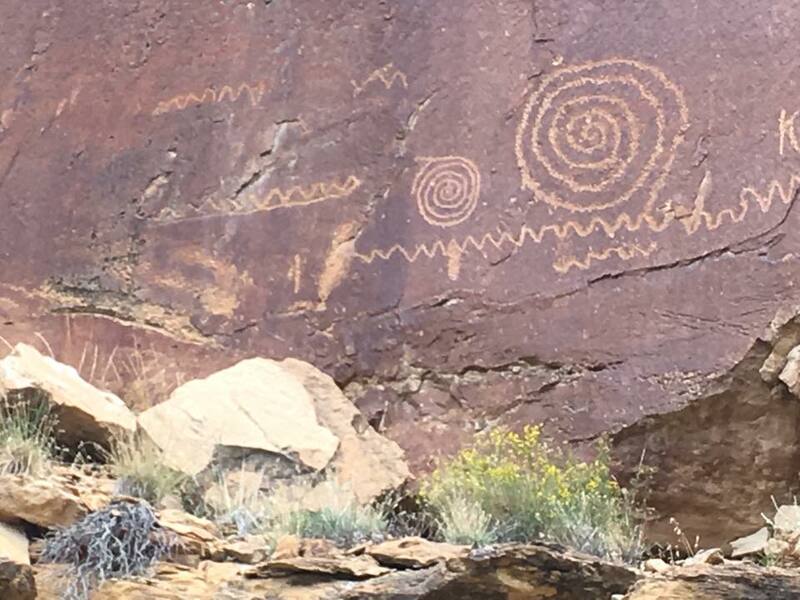 9 Mile Canyon is known as the world’s longest art gallery and is filled with rock art, including tens of thousands of petroglyphs and pictographs, most of which were created by the Fremont and Ute Indians, beginning almost 1000 years ago and continuing to the mid-1800’s. 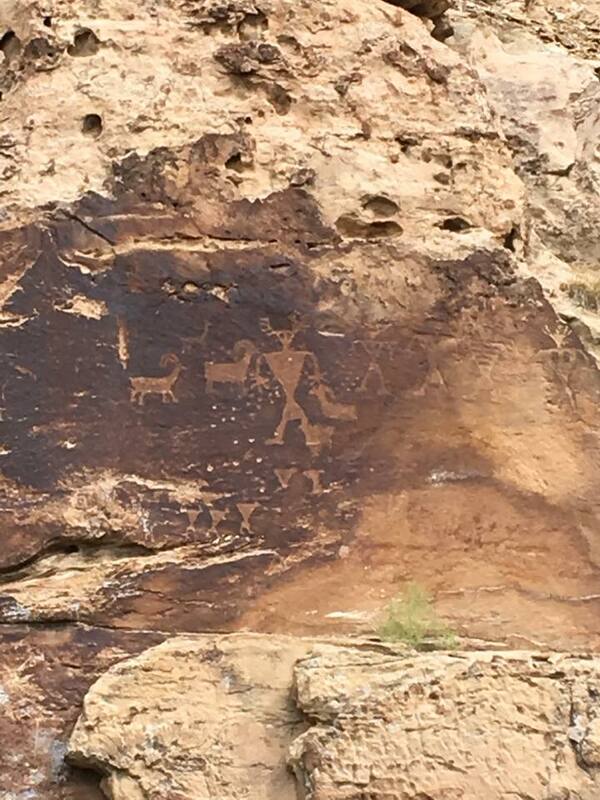 The history left behind on these rock panels throughout the canyon make 9 Mile a hot destination for archaeologists and tourists from all over the world. The panels are of such remarkable quality and uniqueness they have even been featured in National Geographic and other notable magazines and publications. 9 Mile Canyon was a main transport corridor during the 1800’s and linked Castle Country, around Price, Utah to the Uintah Basin coming out in Myton, Utah. In 1886 9 Mile Road was constructed by the Buffalo Soldiers of the 9th Cavalry Regiment and there was a stagecoach that came through the canyon. You can still see remnants of the stagecoach stop as well as many of the old homesteads. You can also see many cliff dwellings and granaries. 9 Mile Ranch has lodging available to suit almost any need and family size. They have everything from tents spots and camp trailer spots, to rustic cabins with some modern amenities to a full Bed and Breakfast facility. They also offer big group sites to host your family reunions, weddings, or company retreats. They have meals available as well as Dutch oven dinners if you choose. They have a pavilion with a kitchen, a playground for the kids and modern restrooms and showers. We are taking reservations for the 2018 season and filling up fast so if you are wanting a unique and fun getaway this trip is for you. Please call or email the below for more information. Spring is in the air!! The crew at Flying J have been building fences, working colts and getting gear ready for the upcoming season. We are expecting 3 mule babies within the next 2 weeks and can’t wait to meet them. Spring is always a great time of year for us and the critters. Winter is sometimes a long drawn out thing. We all work hard in this crew and winter is a bit of a break for us all. But just like us, the critters get cabin fever as well and come springtime they are ready to get back at it and get to the mountain. Remember to keep us in your summer plans - we would all love to see you. 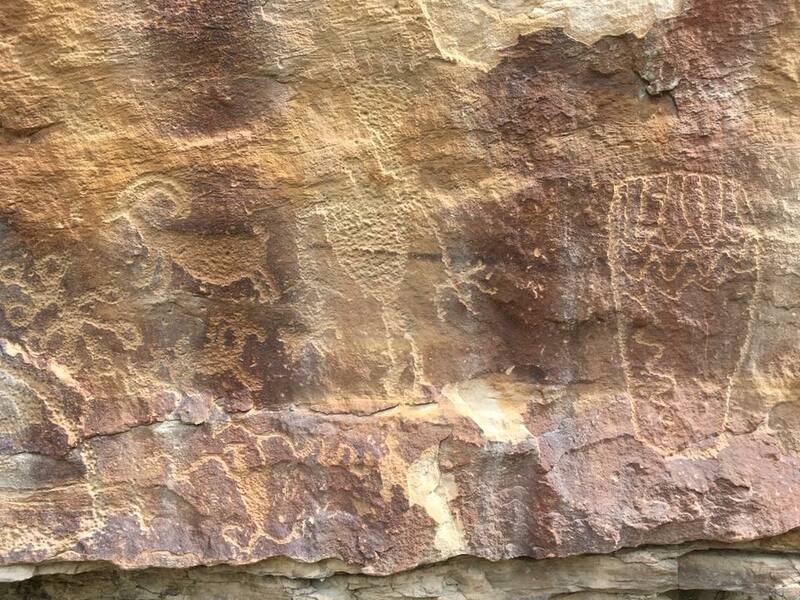 Come with us for a trail ride, a summer pack trip or a wagon trip to see some of the most amazing Indian rock art known to exist. We offer lots of fun trips and we can tailor them to your family’s specific needs. Contact us today, by phone at 435-646-3208 or by email at Adventures@FlyingJOutfitters.com, to get your summer trip booked with Flying J Outfitters. Come do a summer horseback vacation with Flying J Outfitters. We’ll pack you into the High Uinta Wilderness to enjoy beautiful scenery and world class fly fishing. We can tailor our trips to your specific needs, including: horseback ride in and out, wall tents, cots/pads, food, cook, wrangler. You supply: personal gear, sleeping bag and fishing gear if you intend to do some fishing. We are running a special for the 2017 season: a 3 day/2night catered trip for $795.00 per person. Contact us to book your summer trip or horseback ride today.